At GCS our Mission is to serve the poor and homeless in a continuum of care from basic shelter to prevention that empowers clients to achieve and maintain lives of self-sufficiency?. Starting as a shelter for men only, GCS has evolved into an emergency shelter for men, women, and children and a permanent supportive housing program for those who are disabled. GCS helps people turn their lives around by giving them hope and desire for a better quality of life?365 days per year. 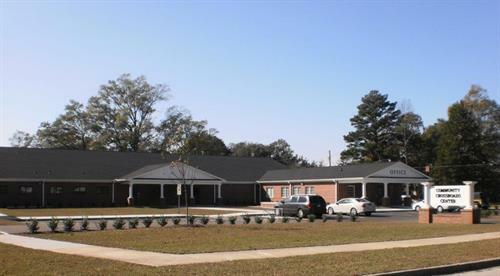 Located at 207 Manhattan Avenue in Greenville, NC, we accept homeless individuals into our Emergency Shelter, as space permits, between 6 p.m. and 8 p.m. nightly. As you tour our website you will find the application and referral process for each housing program. Who finds themselves at our doors? Veterans who have protected our freedom?children whose families are without work due to layoffs or closures?each needing a safe, secure place to stay. Please consider how you can help us help our community continue making these services available to those in need. Operating as a 501©3 charitable non-profit organization, your gifts to GCS are tax deductible to the extent allowable by the Internal Revenue Service. Thank you for your interest and support!